It is 'Make Me Up' Wednesday! I have been using darker colors on my eyes lately, not because it's fall but because I feel like it brings attention to my eyes more. 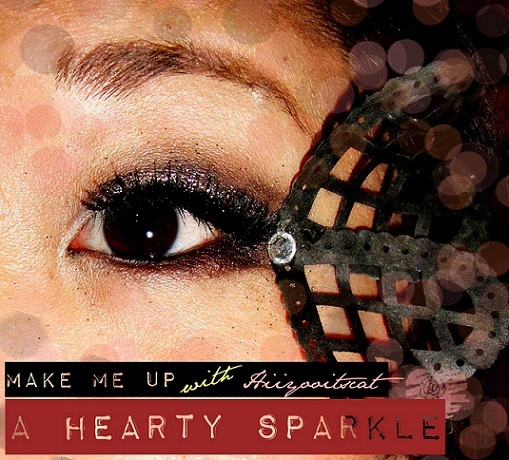 I used glitter on my eyes inspired by the lovely Christina Aguilera. Want to see the actual look? and more photos! Go ahead and click to read more. I was watching 'The Voice' and was inspired by Christina Aguilera's eye make-up. I noticed that in every show she always has a lot of glitter on her eyes with a harsh crease. I tried doing the harsh crease but it did not work well with my eye shape, so I just ended up blending it out. I love the glitter on the lids. If you don't have glitter and are on a budget.. be sure to check Sally's Beauty Supply. They have the glitter adhesive for I believe it is $1-2 as well as a variety of glitters for around the same price. I am also a scrapbooking crafter.. so I decided to use one of my Martha Stewart punches for a little pizazz! You can also do this for halloween if you like.. If you have those edge punches you can make your own paper lashes! 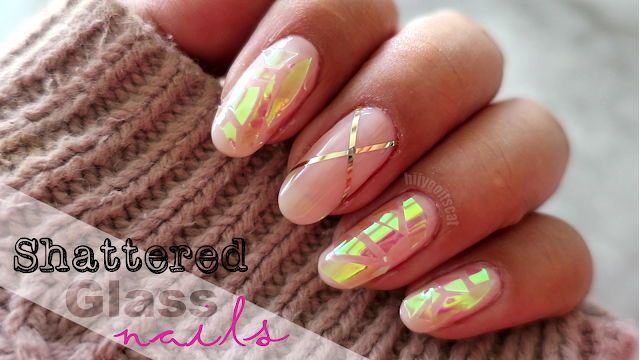 Which I will try to do for my next look! I just used regular printing paper and any black marker I had and colored it. The photo shows 1 layer of black marker.. You can keep going over it until you are satisfied with the darkness. I wanted mine really dark so I did 2-3 layers. I hope you guys enjoyed this look as much as I did. It was a little tricky doing the glitter because of all the fall out. I forgot about the fall out and did my foundation before hand. Also sorry about the dry patches you can see in my photos because of the concealer/foundation. My skin as been extra dry lately =.=. very pretty look. Love the lip color.